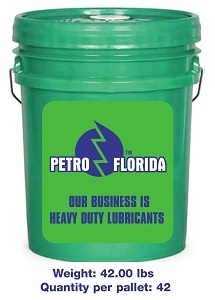 PETROFLO 0w-20 and 5w-20 SYNTHETIC MOTOR OIL is manufactured from 100% synthetic base stocks. 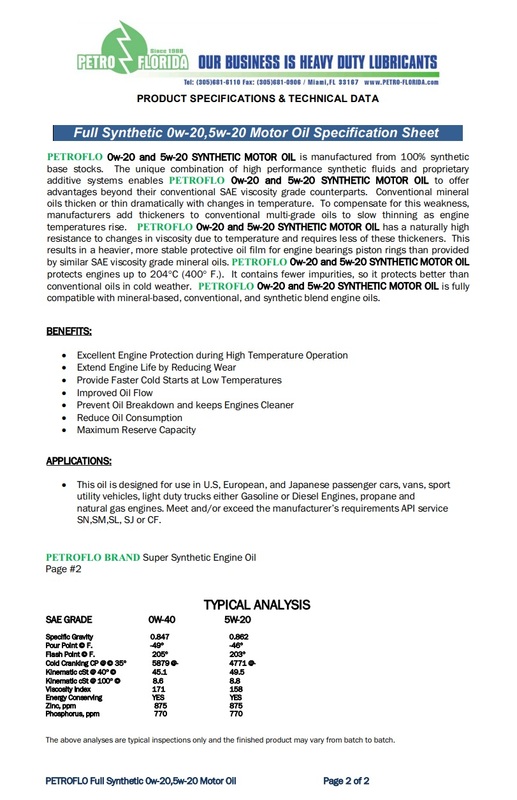 The unique combination of high performance synthetic fluids and proprietary additive systems enables PETROFLO 0w-20 and 5w-20 SYNTHETIC MOTOR OIL to offer advantages beyond their conventional SAE viscosity grade counterparts. Conventional mineral oils thicken or thin dramatically with changes in temperature. To compensate for this weakness, manufacturers add thickeners to conventional multi-grade oils to slow thinning as engine temperatures rise. PETROFLO 0w-20 and 5w-20 SYNTHETIC MOTOR OIL has a naturally high resistance to changes in viscosity due to temperature and requires less of these thickeners. This results in a heavier, more stable protective oil film for engine bearings piston rings than provided by similar SAE viscosity grade mineral oils. PETROFLO 0w-20 and 5w-20 SYNTHETIC MOTOR OIL protects engines up to 204°C (400° F.). It contains fewer impurities, so it protects better than conventional oils in cold weather. PETROFLO 0w-20 and 5w-20 SYNTHETIC MOTOR OIL is fully compatible with mineral-based, conventional, and synthetic blend engine oils. natural gas engines. Meet and/or exceed the manufacturer’s requirements API service SN,SM,SL, SJ or CF.